The Galapagos Islands are home to unique land and marine life that is found nowhere else on Earth. The archipelago 600 miles west of mainland Ecuador is best experienced by cruise ship. 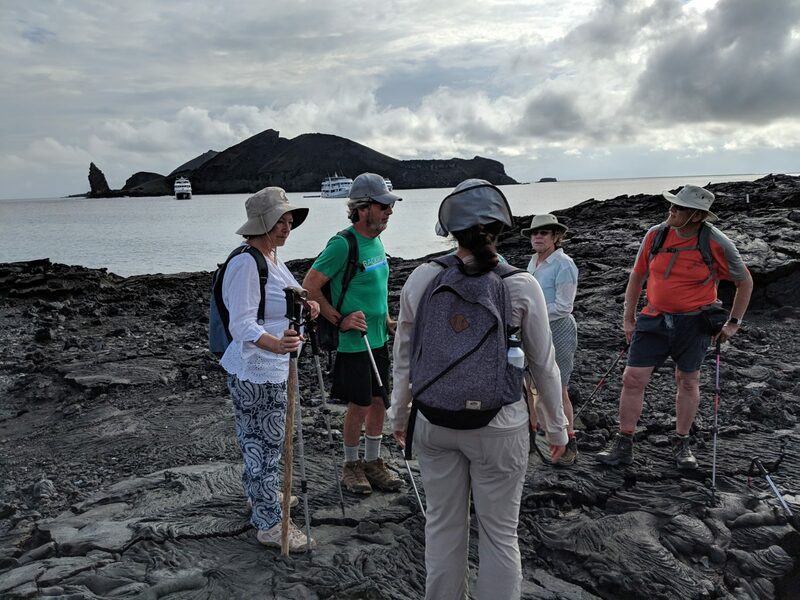 Unlike land-based Galapagos travel, a Galapagos Islands cruise means you can see more visitor sites, hike over more lava fields and see more wildlife. But this is not your usual family vacation. Here are 12 important things you need to know before booking a Galapagos trip. A Galapagos cruise on a small boat is by far the best way to see the Galapagos archipelago. It’s also the most expensive way to see the unique Galapagos wildlife. Life aboard a small Galapagos cruise ship can be the height of luxury. The excursions, meanwhile, can be physically demanding. Here are the 12 most important things you need to know before booking a luxury cruise to the natural paradise that inspired Charles Darwin’s theory of evolution. 1. 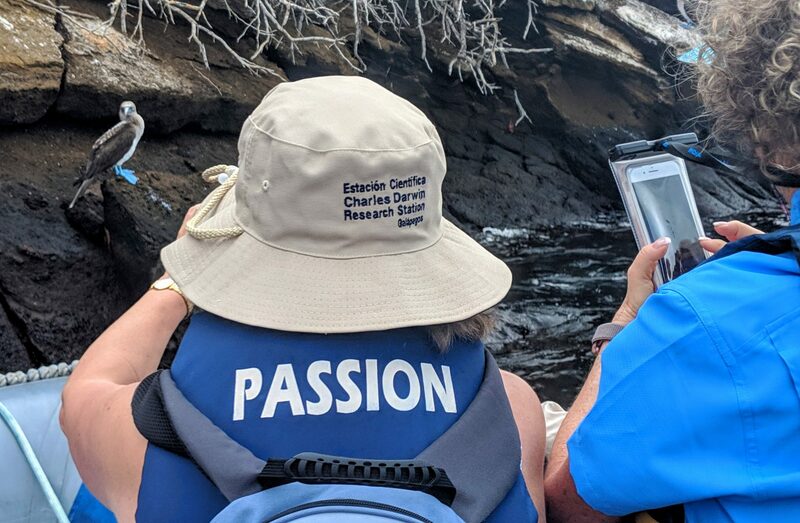 Galapagos travel can be strenuous. Unlike the US national parks, there are no paved paths in the Galapagos National Park of Ecuador. So this is not a vacation for anyone with mobility challenges. Simply getting off the boat and into a Zodiac dinghy, then climbing out of the Zodiac on shore can be a challenge. Most of the time, it will be a “wet landing” that requires passengers to hop over the side of the dinghy into knee-deep water. Once in a while, it will be a “dry” landing, but even those involved climbing up slippery stairs. It’s important to be at least moderately in shape. Once you’re on land, rules require that everyone stay with the guide. If you cannot keep up, the whole group has to turn back. If you think you cannot make the activity, you always have the option of staying on the ship. You won’t be able to see the land wildlife of Floreana or Isabela islands, or the iguanas on Fernandina, but you can still watch the frigate birds flying overhead and spot the sea turtles swimming near the boat. 2. The seas can be rough. 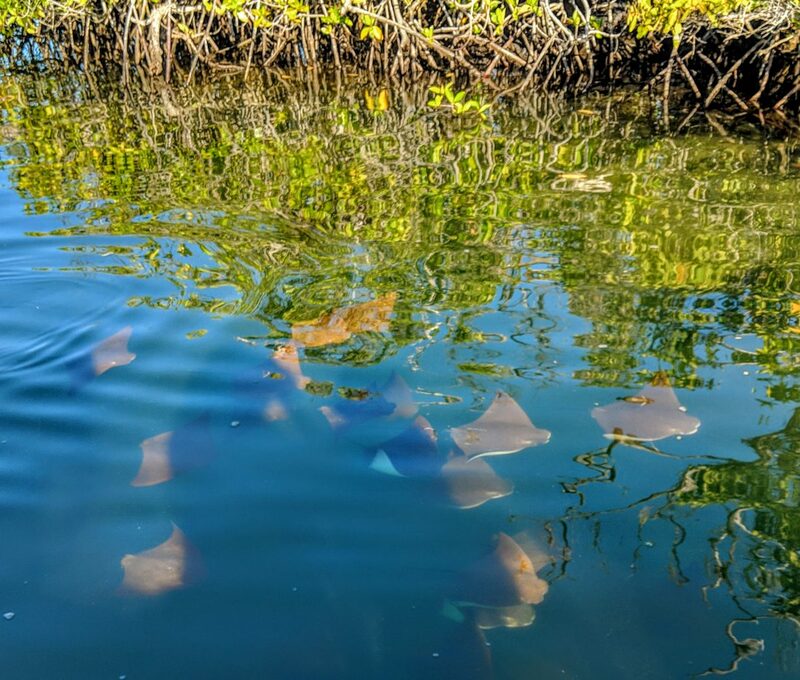 While no one our boat was sidelined by sea sickness during our Galapagos Islands cruise, it certainly can happen. While booking in March through July can result in a smoother ride thanks to a shift in the ocean currents around the islands, one night on our January cruise was so rough that things were flying around the cabin and I had to hold onto the mattress to keep from rolling onto the floor. Big megaships have stabilizers that keep the ride as smooth as possible. Our small motor yacht was rocking and rolling. We had a captain kind enough to pull up the anchor and motor out to sea in search of calmer waters just so we could have a relatively calm breakfast. Read More: The Complete Guide to a Galapagos Islands Cruise Vacation. 3. This is not your usual luxury cruise vacation. 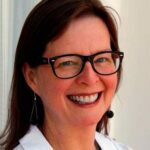 On my Galapagos trip, there were no formal dinners that require nice dresses and suit jackets (although one passenger did put on a lovely dress the night we crossed the equator. It was, she said, an event that seemed to warrant something more than slacks and a t-shirt.) This cruise is very casual. 4. Ask whether the boat has child-sized gear. Snorkels and masks make it easy to see the penguins, sea turtles and tropical fish swimming beneath the surface. 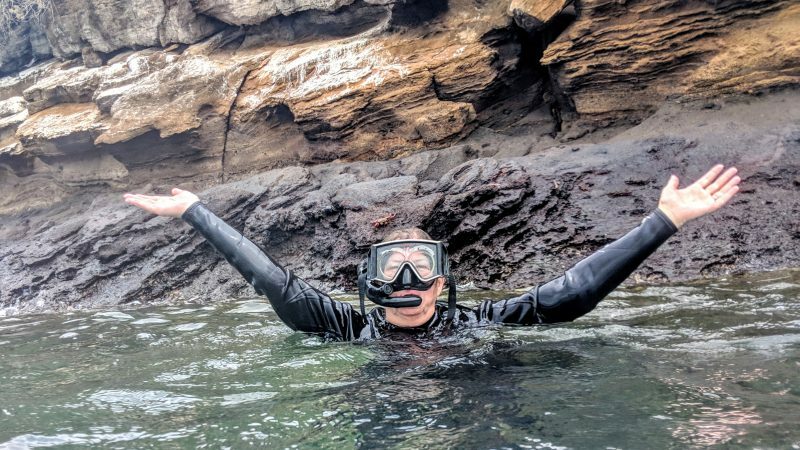 (The Passion had a snorkel mask with a magnified lense that allowed me to see underwater — a treat since my near sightedness means I see nothing but blurry images when I snorkel with a regular mask.) Swim fins help you fight the currents and keep up with the sea turtles as they glide along. Wet suits are necessary in these chilly waters. Having gear that fits a child is critical if your kids are going to enjoy the experience. It might be safest to buy your own and bring them along. When it rains in the Galapagos, it pours. At least it did on one day of our 8-day cruise. Head to the Dollar Store and buy a selection of cheap plastic ponchos to keep in your backpack. You might even want it on sunnier days when winds whip the ocean spray into the Zodiac. 6. Expect to be sociable. Most ships carry 16 passengers or fewer; The Passion accommodates just 14. That means communal dinners. The group on my trip was pleasantly convivial and our time spent together brought laughs and shared stories. But if you’re uncomfortable around strangers, recruit friends and family to join you on the trip. If you can gather a group of 14, you would fill The Passion and be surrounded by loved ones. You can find 4- and 5-day trips as well as the week-long Galapagos cruise options. Or, if you really like one another, you can book a 15-day trip to visit both the eastern and western islands. 7. There is no wi-fi or cell service. 8. You will need hiking boots. 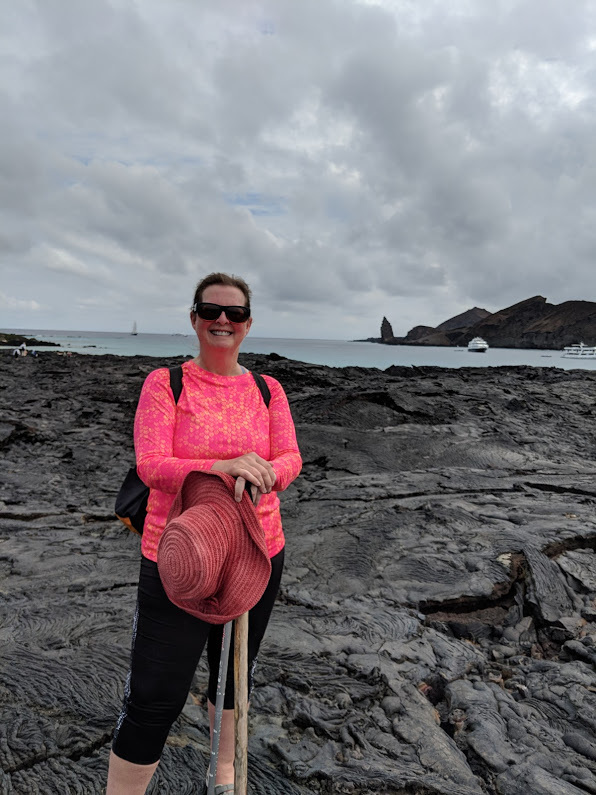 Thick soles and ankle support are critical when you’re walking over such uneven and unforgiving terrain like the lava fields on Floreana Island. Walking sticks help, too, particularly if you have any balance issues. They also take some pressure off of your knees on those up- and downhill climbs. And they help prevent falls on the rocks made slippery by the rains. 9. The equatorial sun can be brutal. Bring plenty of high-caliber sun screen and reapply it every two hours. Equally important, bring a sunhat, light weight long pants and a long-sleeved shirt with an SPF rating of 15 or more to protect your skin. 10. Don’t bring any food into the Galapagos. 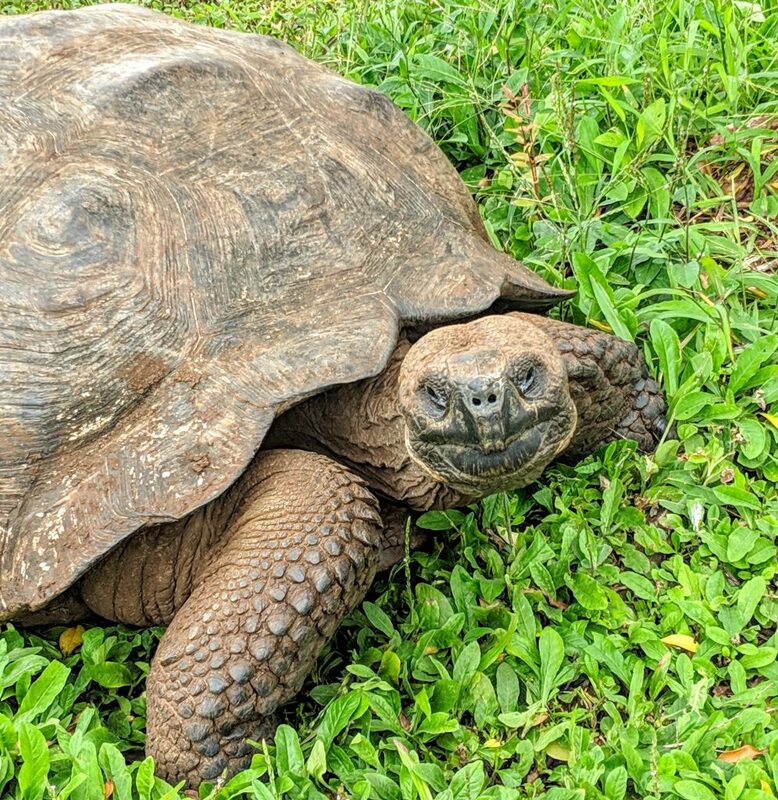 In an effort to keep the Galapagos Islands pristine and limit the chance of introducing foreign species into the delicate ecosystem, Ecuadorian immigration authorities strictly prohibit visitors from bringing in any seeds, plants, or other potentially harmful things. Dogs at the airport sniff each suitcase in search of contraband food before the bag can be released to its rightful owner. 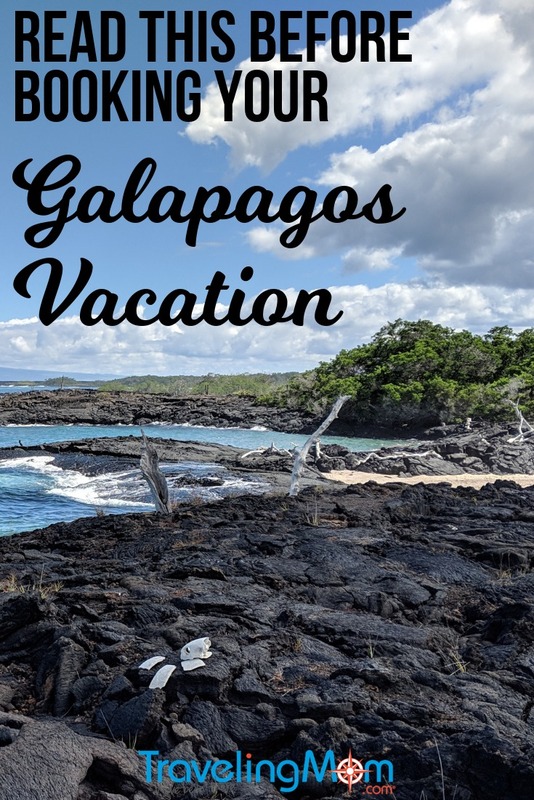 The Galapagos are the place where tourists truly must “take only photographs and leave only footprints.” That is as it should be everywhere, but it is strictly enforced at Galapagos visitor sites. No one can be on an island without a guide and the naturalist guides enforce the rules, including ones that you must stay two meters (6 feet) away from any animal and you cannot take anything off the island. A book about the Galapagos relates the story of a visitor who picked up a feather, planning to take it home as a souvenir. When the guide noticed, he not only made her put it back, he made her walk to the point where she picked it up so she could return it to its original resting spot. 12. Plan for early starts and long days. This is an exploration destination. Galapagos National Park officials strictly control when and how many people visit the islands at any time. And the equatorial sun can be hot in the middle of the day, especially when you’re hiking on those black lava fields in the western islands. Expect to start your day before 7am with a first-class breakfast in the ship’s dining room. Then it’s time to gear up for a hike before returning to the ship to don wet suits and snorkeling gear for a swim in search of sea lions, hammerhead sharks, Galapagos penguins and sea turtles.